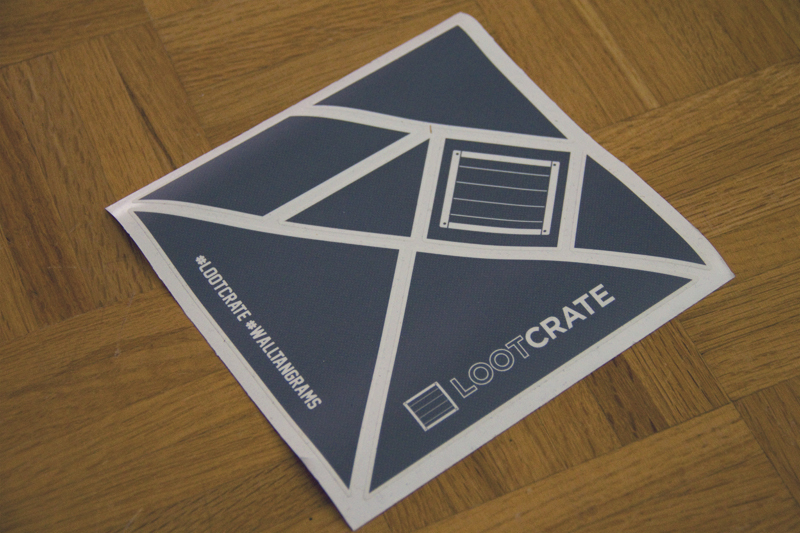 The July Lootcrate is almost on its way but I didn’t have time to talk about the June one until now. June’s theme was “mashup”; the joining of two separate ideas. 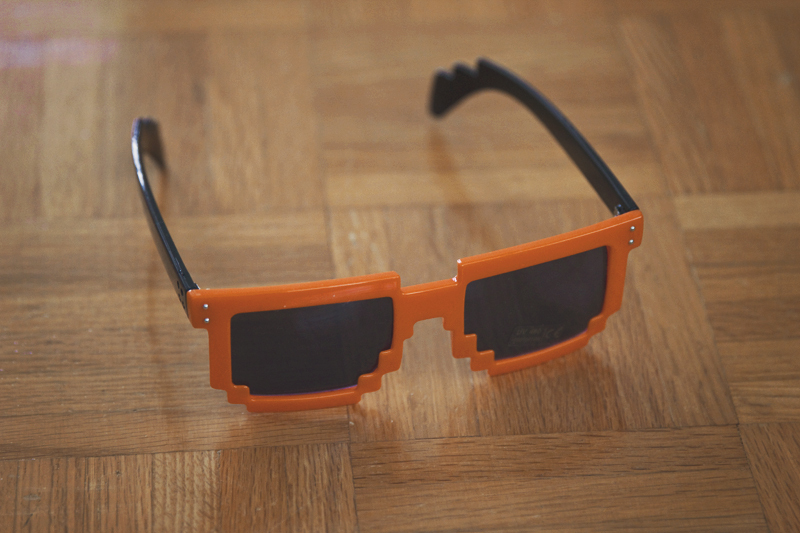 My favourite item in June’s crate are these 8-Bit sunglasses. 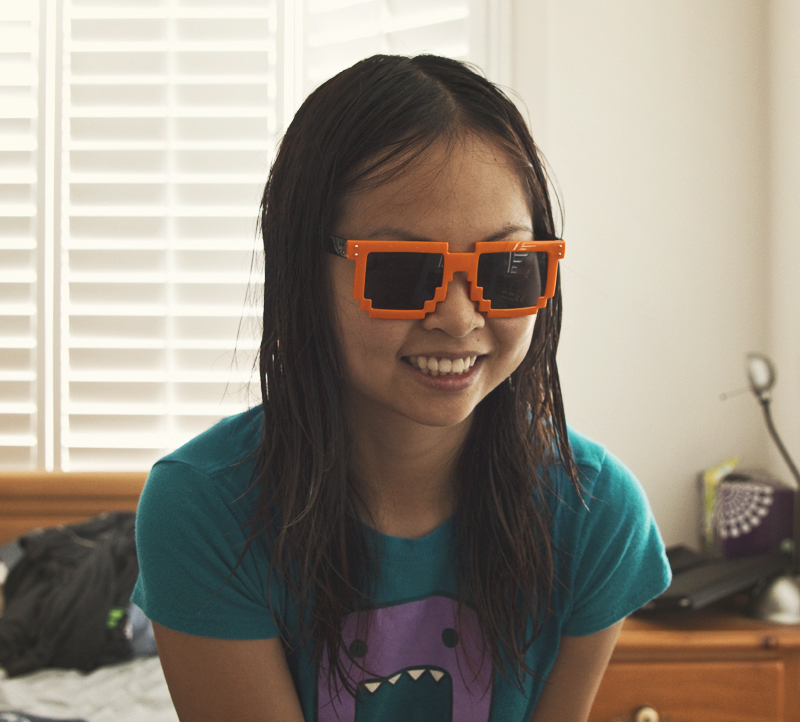 Mine came in Loot Crate’s orange and black colours but apparently some people got plain black ones in their crates. They are also selling pink and white ones in their gift shop. I’m super tempted to grab a pair of those too. 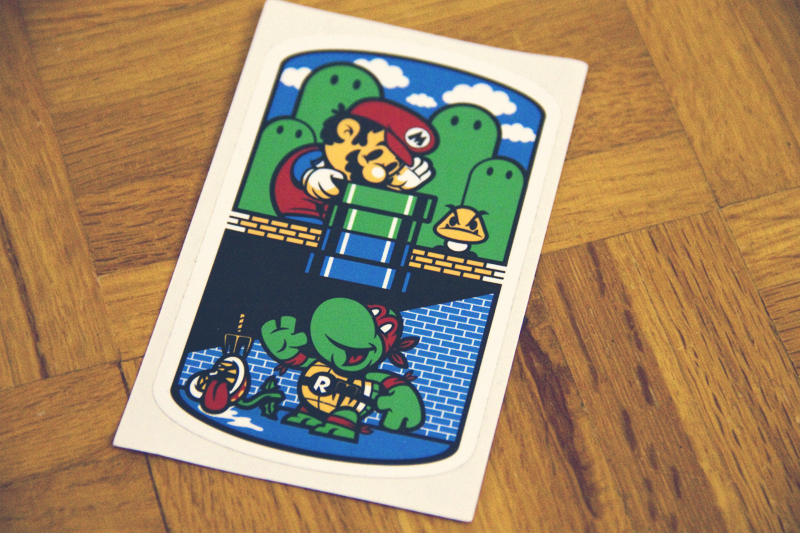 This sticker Harebrained shows two classic characters helping each other out. It’s a pen. No, it’s a stylus. Wait, it’s both. 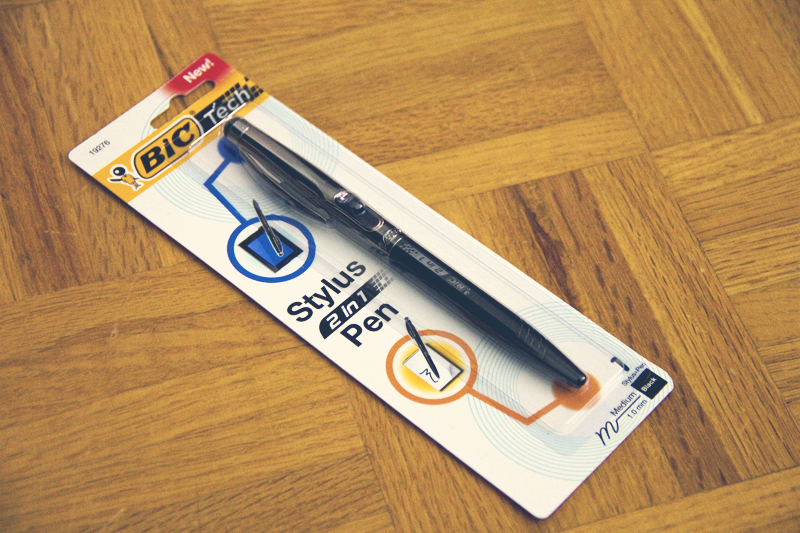 The 2 in 1 pen from Bic is a smooth ball point pen and stylus in one. I hope I don’t actually use the wrong side on my iPad. I haven’t decided what I want to use these sticker anagrams for. What would you make? My imagination can only think of boats. 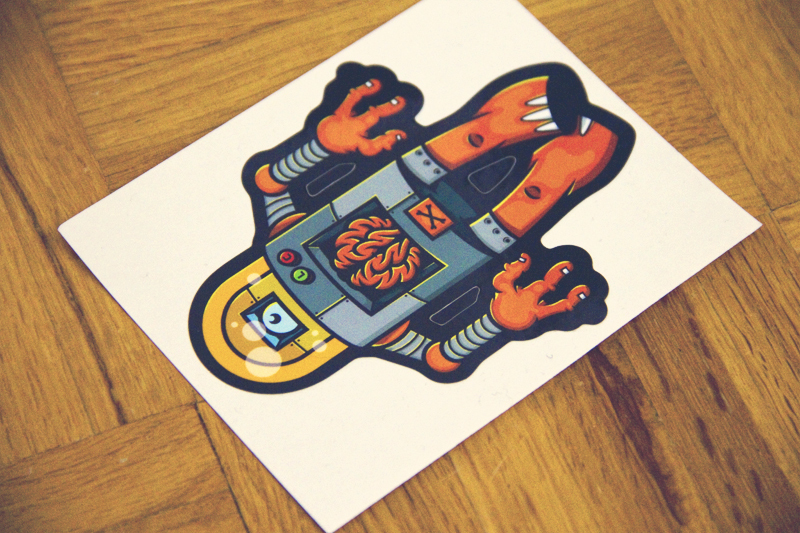 Loot Crate got mashed into this a robot on this sticker from Danger Brain, a really cool company that makes logos. 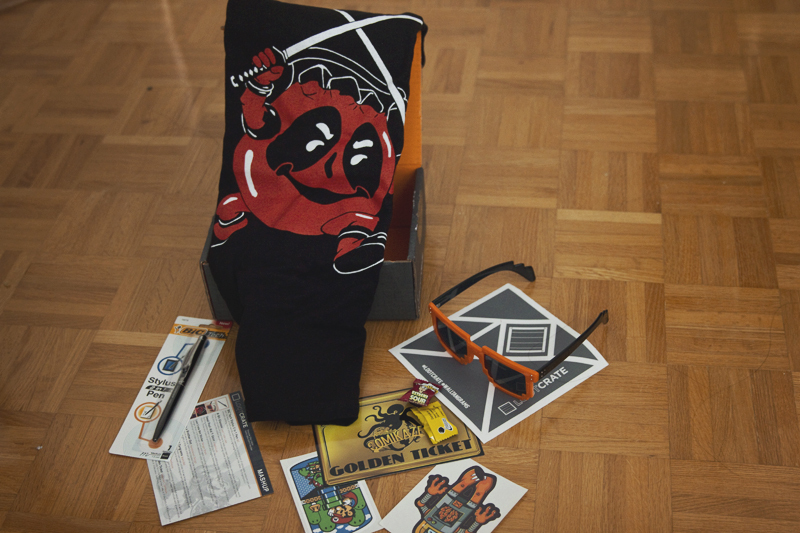 I was so excited that this crate had a T-shirt which was totally worth the price of the box. 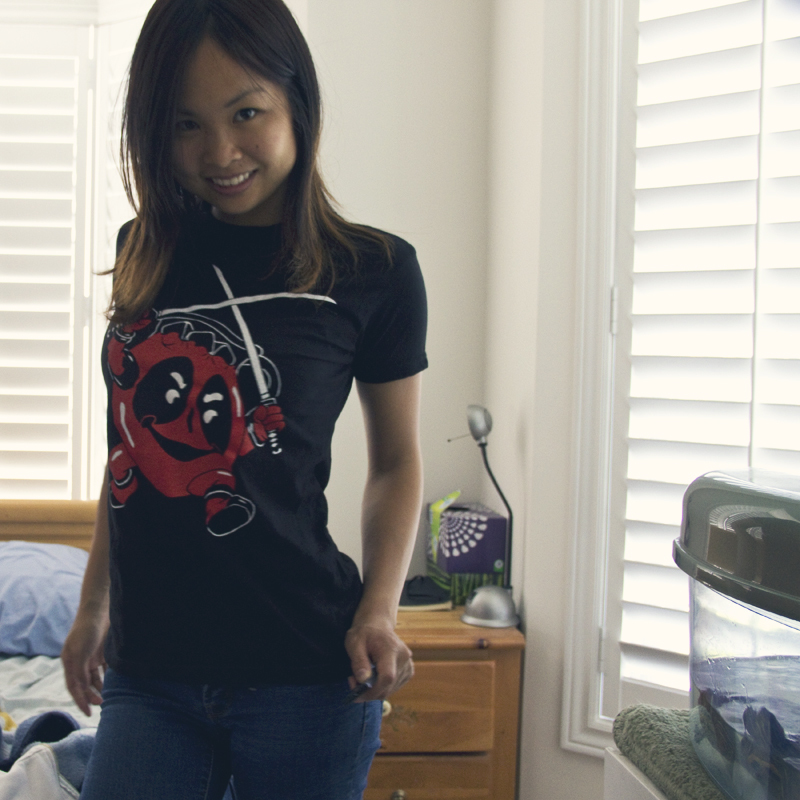 The design (from Graphic Lab) mashes up antihero Deadpool with Kool-aid to make DEADPOOL-AID. 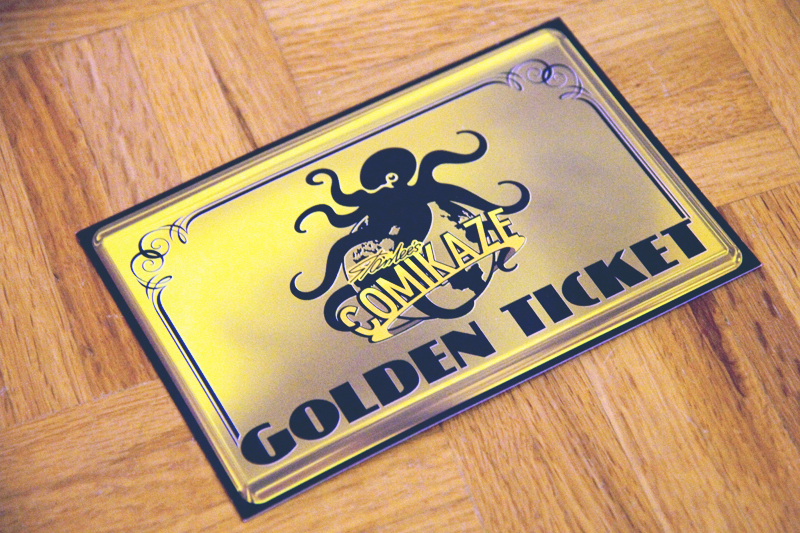 Lastly, there was a golden ticket for Stan Lee’s Comikaze. It’s a coupon where you have a chance to win admission or a percentage off. Personally, I don’t have much use for the item but I think they just added it as a bonus in the crate.